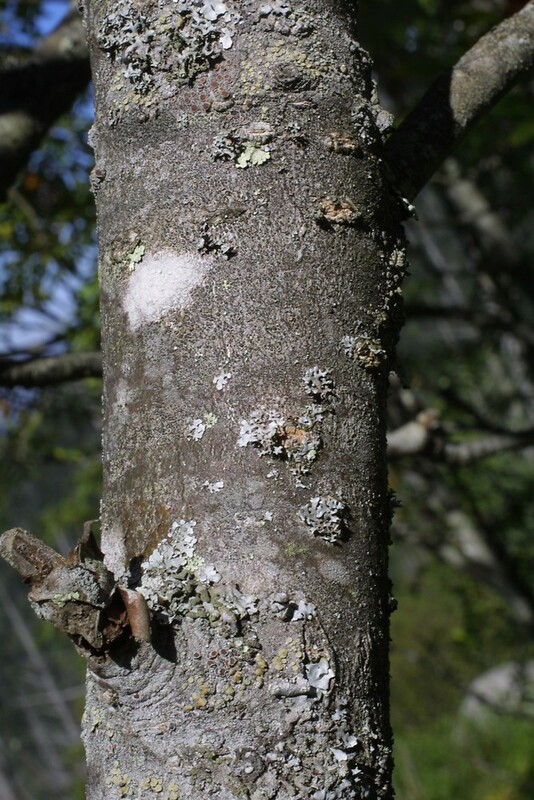 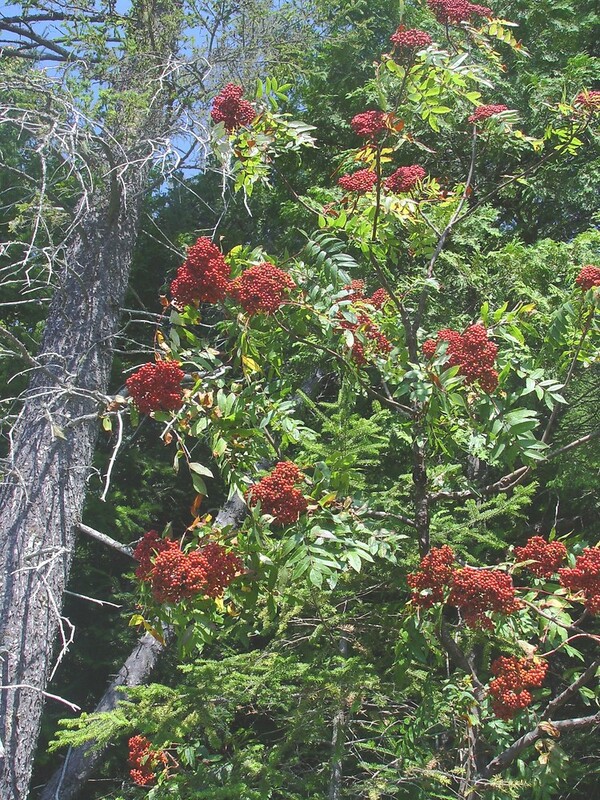 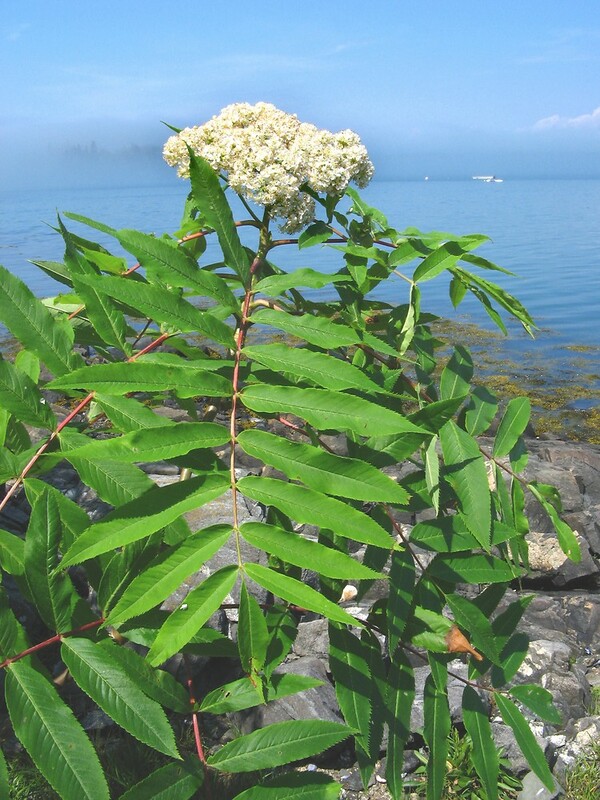 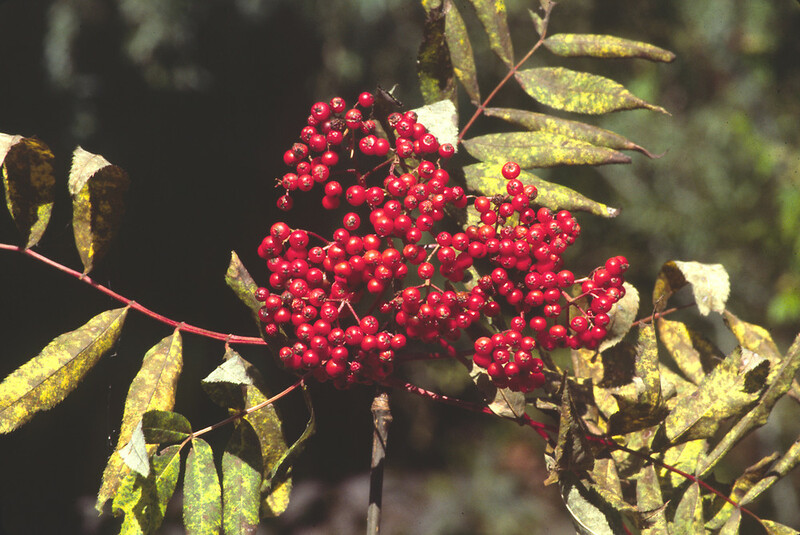 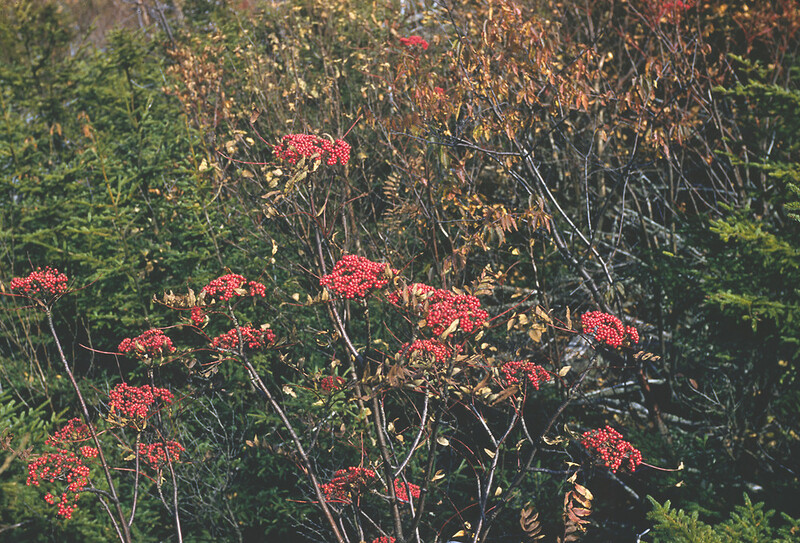 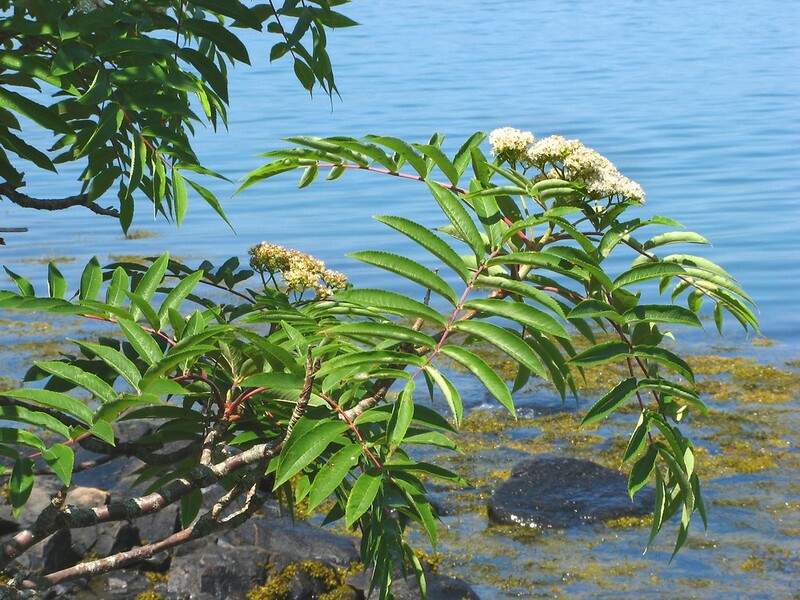 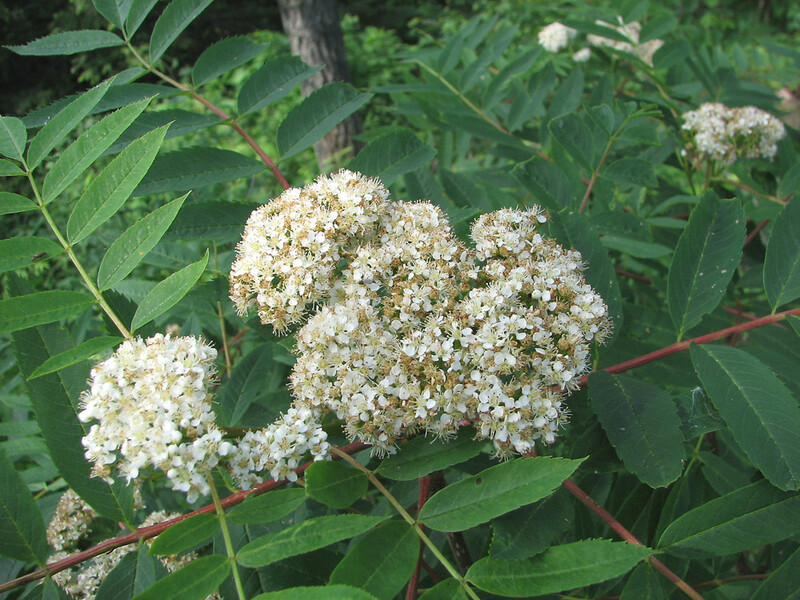 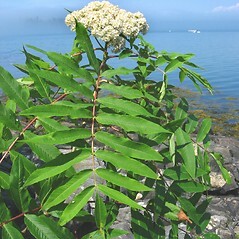 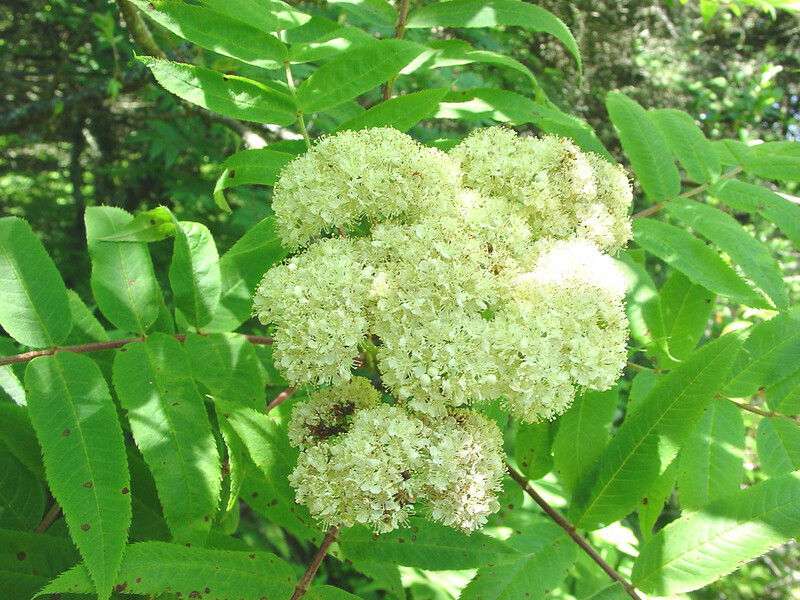 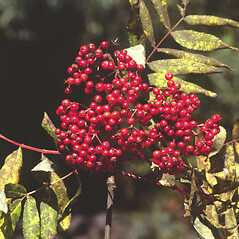 This small tree of mid-elevations and cool climates is called American mountain-ash because its compoud, toothed leaves resemble those of ash (Fraxinus) species. 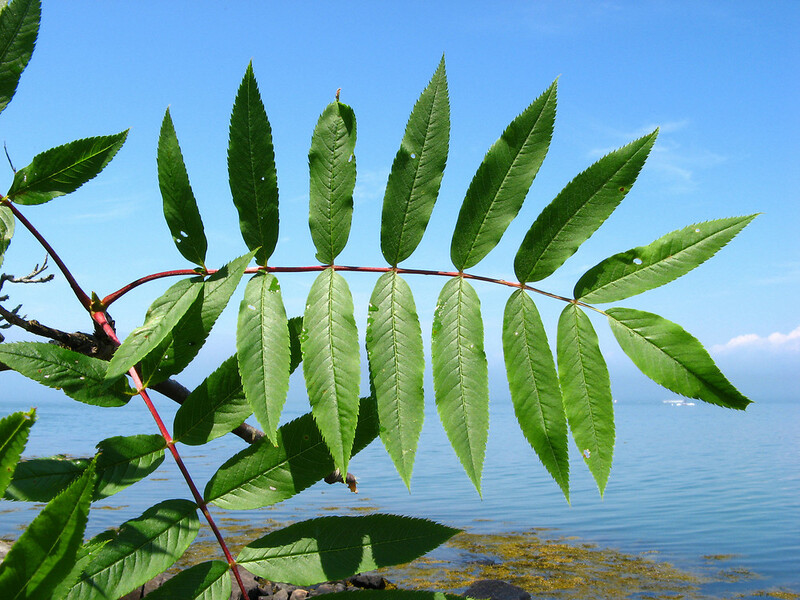 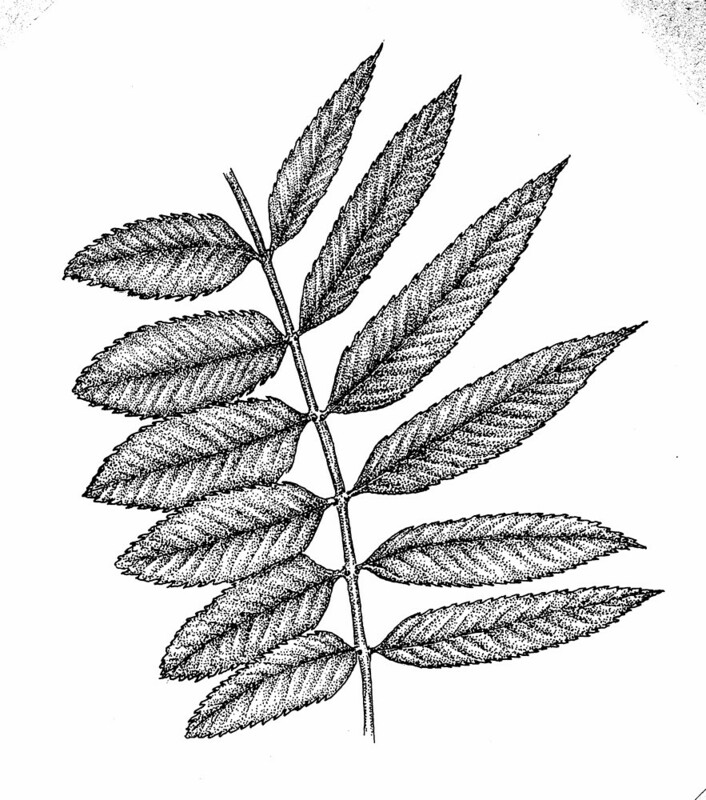 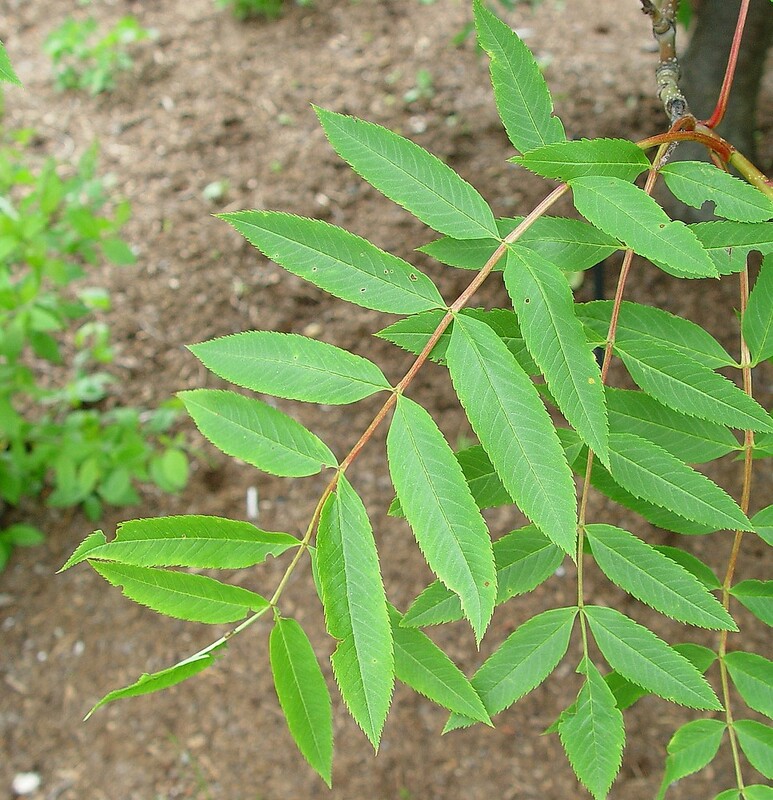 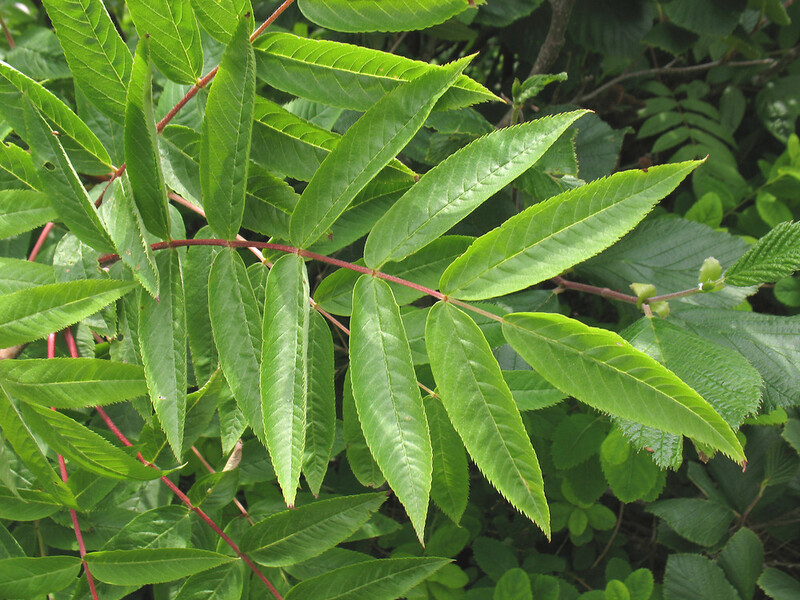 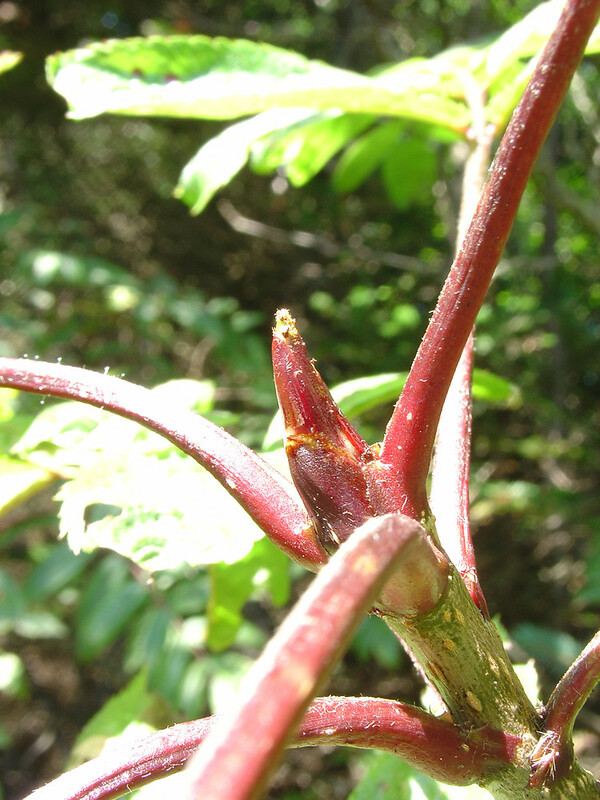 However, unlike ash, American mountain-ash leaves are alternate, not opposite. 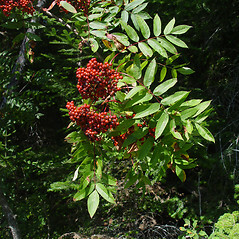 Although people find the berries somewhat bitter when raw and can be mildly toxic, many species of birds, including waxwings, robins, jays, and grouse find them delicious. 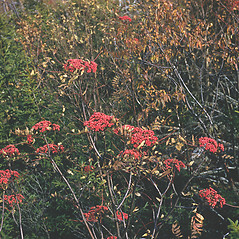 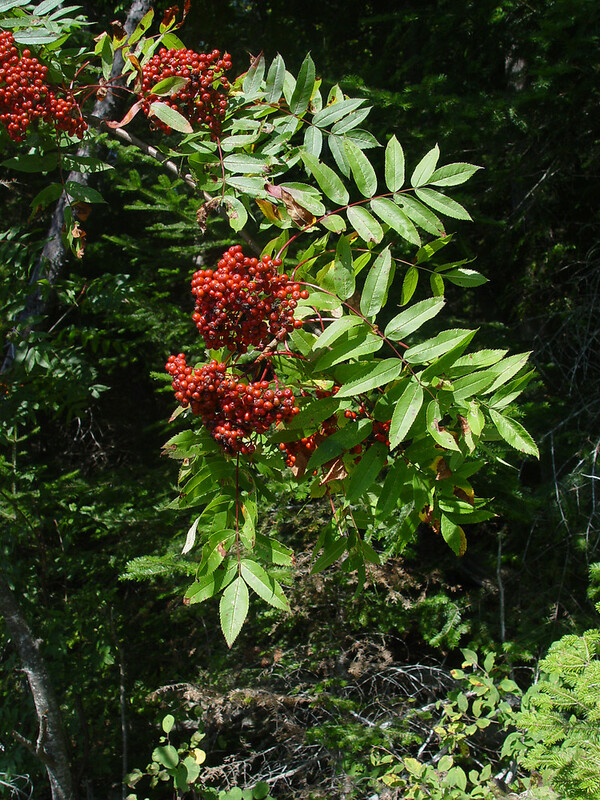 Mountain ash leaves, twigs, and bark are a favorite food of moose and deer. 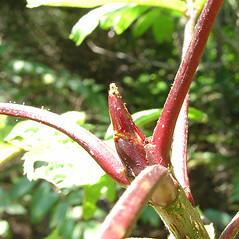 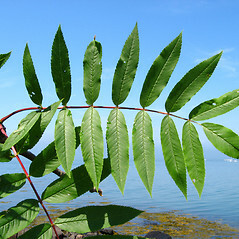 branchlets, inflorescence, winter bud scales, and lower surface of leaflets hairy (vs. S. americana, with branchlets, inflorescences, winter bud scales, and lower surface of leaflets without hairs or with very sparse hairs). 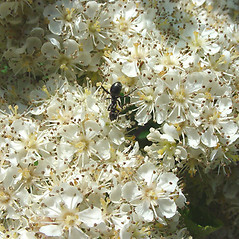 leaflets 2-3.5 times as long as wide, winter bud scales ciliate along the edges, petals 4-5 mm long, and fruit 7-10 mm in diameter (vs. S. americana, with leaflets 3-5 times as long as wide, winter bud scales not or very sparsely ciliate along the edges, petals 3-4 mm long, and fruit 4-7 mm in diameter). 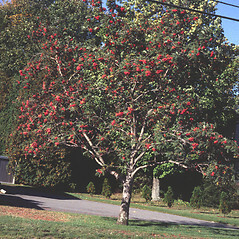 American mountain-ash. 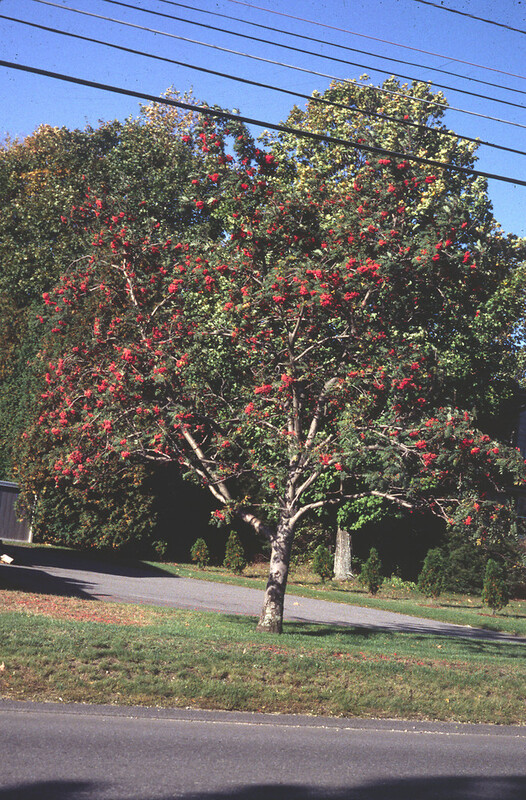 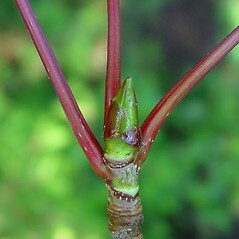 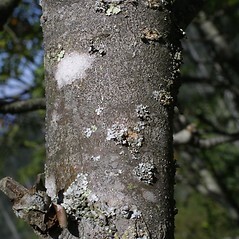 Pyrus americana (Marsh.) 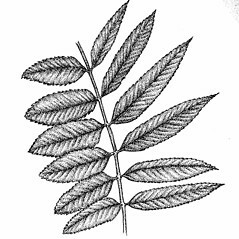 DC. 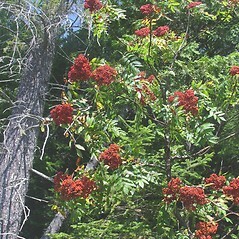 • CT, MA, ME, NH, VT. Temperate, boreal, and subalpine forests, ridge tops, swamps. 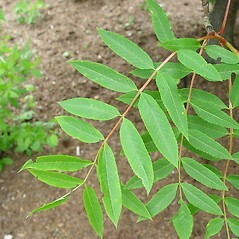 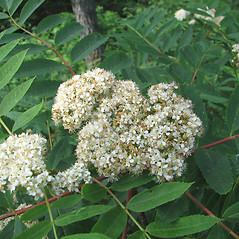 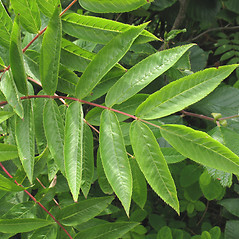 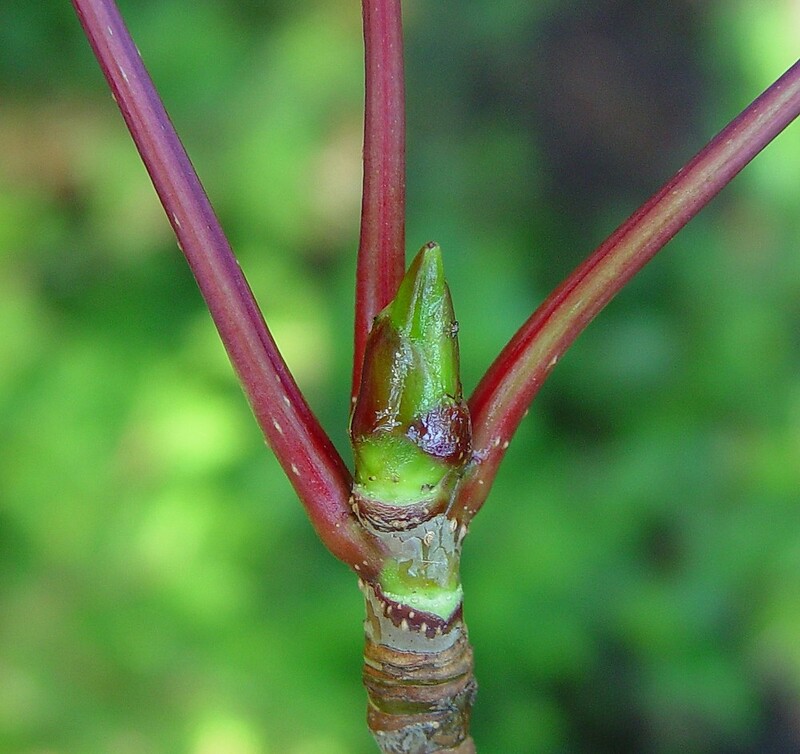 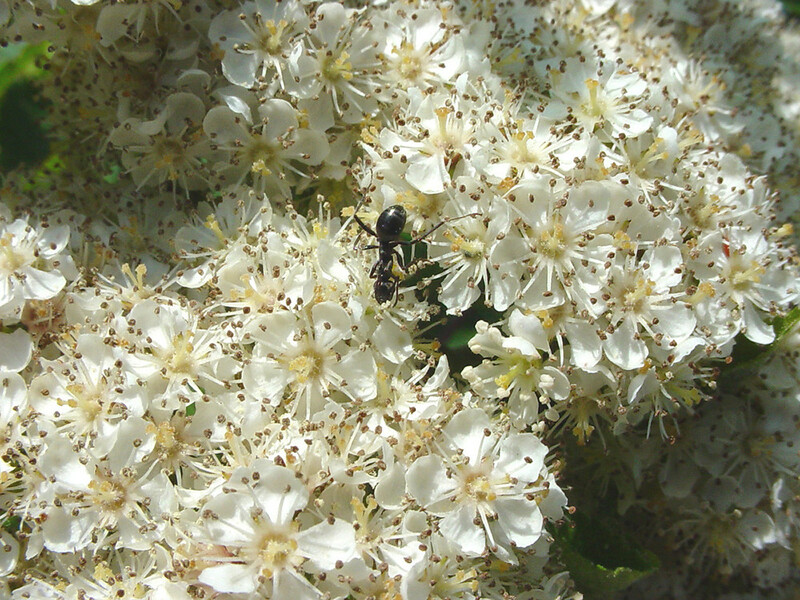 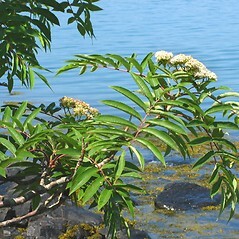 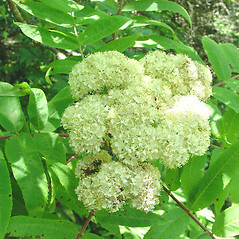 George (1999) reported this species from RI; however, all specimens seen by me identified as this species from RI either are Sorbus aucuparia or were collected from residential settings.